life, appeared surrounded with heavenly hosts and said to him, ‘Come with us, for all of these are waiting for you.’ The saint replied and said, ‘My master Lord Jesus Christ whom my soul loves, accept my spirit.’ When he said that he gave up his spirit. 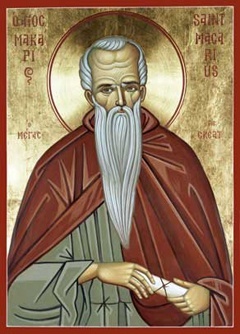 Filed Under: All, Holy Fathers, Post-Mortem, St. Macarius the Great ca. 4th cent.